The Market Harborough hotels listed below are either in the town or we have given a rough guide as to how far they are from Market Harborough. We hope you enjoy your stay and find your ideal accommodation. This former 16th-century coaching inn is located in the pretty town of Market Harborough, Leicestershire. It has elegantly designed rooms with large bathrooms and a restaurant serving European cuisine. This 16th-century coaching inn in the centre of Market Harborough has 2 restaurants and comfortable rooms with free Wi-Fi. The Three Swans is 3.5 miles from Foxton Locks. This family-run hotel is 300 metres from Market Harborough town centre and 900 metres from the rail station. It has free parking, en suite rooms, tasty food and free Wi-Fi in the public areas. The Copperfield Hotel is in a quiet and attractive area. The Bull's Head is a family-owned rural pub located within the scenic countryside of Northamptonshire, just 10 minutes from the A14 motorway. 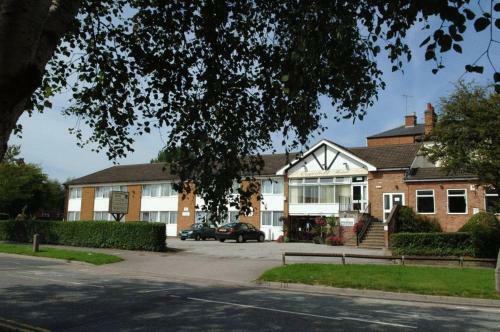 At the junction of the A6 and the B6047, less than 3 miles (5 km) from the very heart of Market Harborough's town centre, the hotel offers comfortable, great-value rooms and free parking. Also see Leicester hotels & Kibworth Beauchamp hotels.